food allergy | food intolerance | gluten sensitivity | coeliac disease. 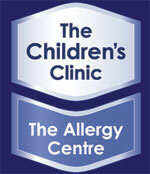 If you (or your child) have any on-going unexplained symptoms – then this could be a food allergy. So it is worthwhile getting the right tests done. We investigate and help families with these sorts of health problems. Hi. Do you test for SIBO?